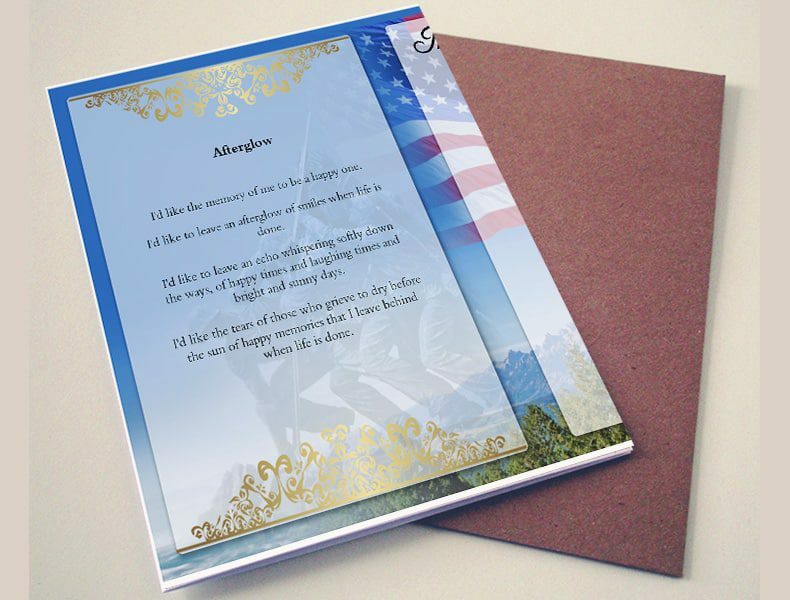 A beautiful 11 x 17 Funeral Program template called “U.S War Memorial Funeral Program”. 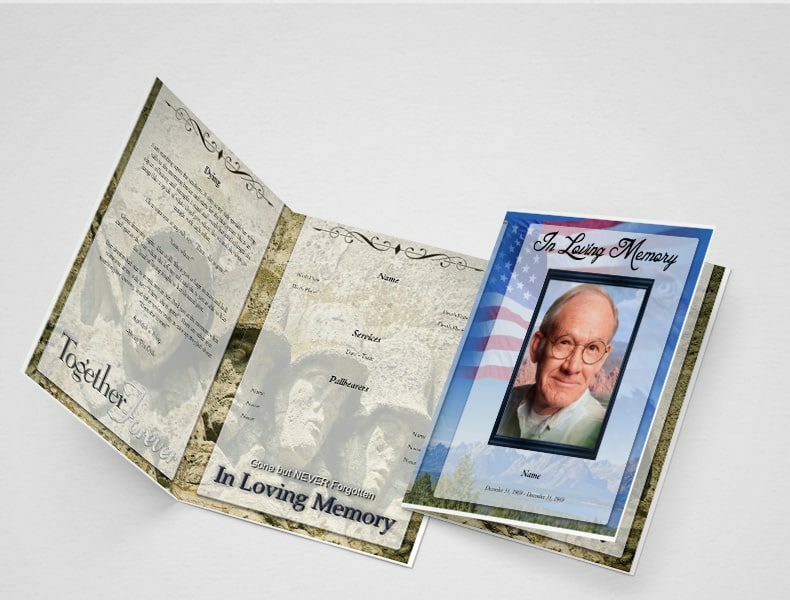 This bi-fold funeral program template contains war memorial background and US Flag which gives an appealing look to printable bifolded funeral program. 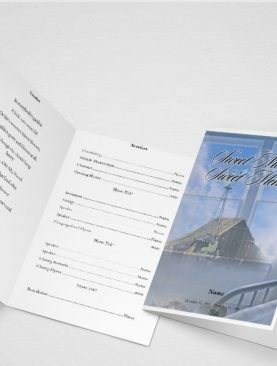 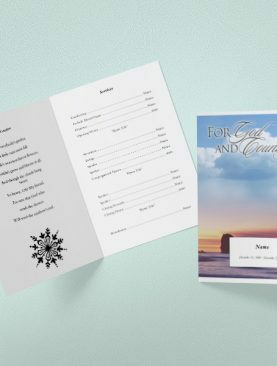 This U.S War Memorial Funeral Program Template contains 1 folds with 4 editable and printable sides where you can add your own content such as order of service details and other funeral service details. 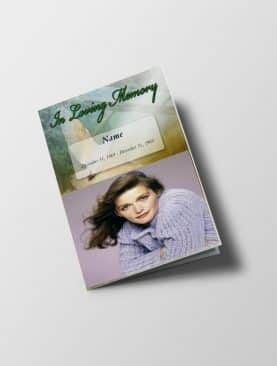 A beautiful 11 x 17 Tabloid Funeral Program template called “U.S War Tabloid Memorial Funeral Program”. This bi-fold funeral program template contains war memorial background and US Flag which gives an appealing look to printable bifolded funeral program. 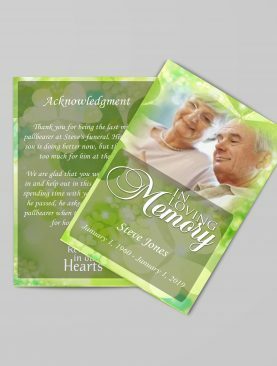 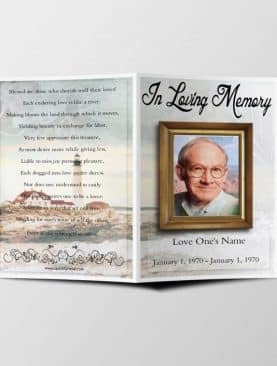 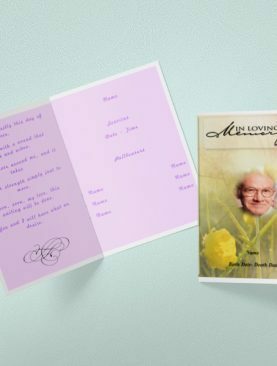 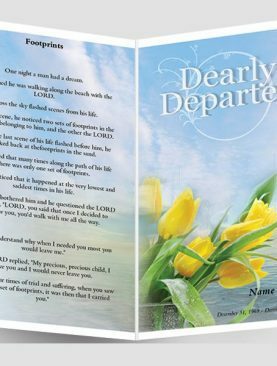 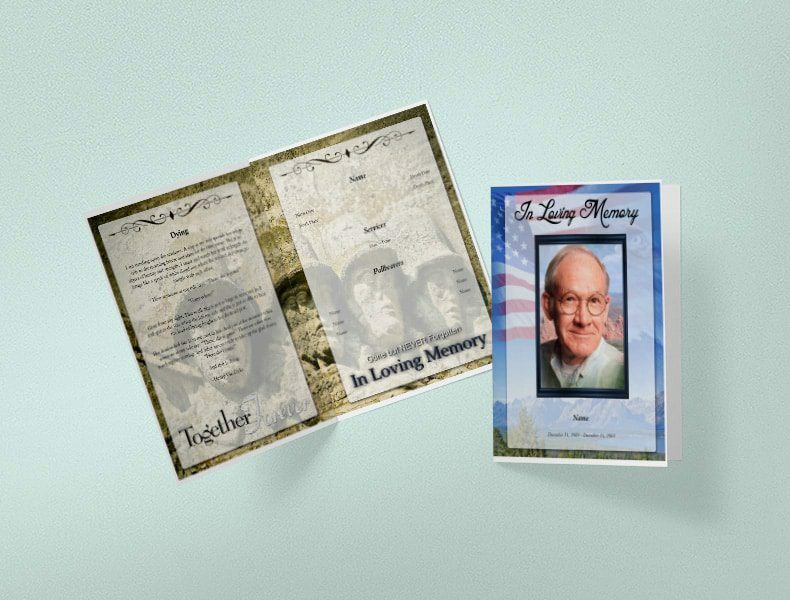 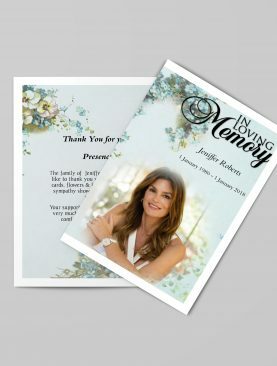 This U.S War Tabloid Memorial Funeral Program Template contains 1 folds with 4 editable and printable sides where you can add your own content such as order of service details and other funeral service details.